You’re reading novel The Demonic King Chases His Wife: The Rebellious Good-for-Nothing Miss Chapter 737 online at LightNovelFree.com. Please use the follow button to get notification about the latest chapter next time when you visit LightNovelFree.com. Use F11 button to read novel in full-screen(PC only). Drop by anytime you want to read free – fast – latest novel. It’s great if you could leave a comment, share your opinion about the new chapters, new novel with others on the internet. We’ll do our best to bring you the finest, latest novel everyday. Enjoy! Like her who cultivated desperately and experienced life-and-death situations again and again, even then, she was still currently only at the fifth rank. However, as for the little divine dragon, he only needed to eat, drink and sleep. Occasionally acting cute, once in a while eating a few stones, and bubbly like clouds of mists… then his strength would immediately skyrocket. The dragon race was truly the G.o.ds’ favorites, this point, no one could compare to. After the little divine dragon had absorbed nearly all of the spiritual mist from the demon soldiers, his entire little body seemed to be drunk from wine. While he was shaky and swaying, he was shadow boxing. At this most crucial point, how could the little divine dragon become intoxicated? Without him, she wouldn’t be able to find the Fire Source Stones. In the end, the little divine dragon’s body became askew and directly fell into Su Luo’s arms. His little belly swelled and sunk as he entered into deep slumber. Su Luo spread out her hands. The demon soldiers on the floor were even more pitiful than her. Very clearly, they were made from the spiritual mist. Originally, they would revive after death, growing and multiplying without end. However, being sucked up by the little divine dragon, they would disappear forever. Su Luo couldn’t help but feel the deepest sympathy on behalf of the demon soldiers in the Demon Cave. She hoped that after they left, this would still be the best place for the other influential families to cultivate. She stuffed the little divine dragon that had fallen drunk into her s.p.a.ce. Su Luo’s expression became slightly more cautious. Originally, with the little divine dragon at her side, he would use his shrewd senses to warn her of danger. But now, it was only her alone, so she could only be more cautious. Su Luo was mobilizing the spirit energy in her body, and her body gradually became stretched taut. A strong force circulated through the hundreds of bones in her body. Su Luo searched the surroundings in the entire hall for a long while and still could not find a single Fire Source Stone. Consequently, she went deeper into the cave. Before walking for too long, her footsteps halted. Because she saw that the Jade Lake’s fairy was now sitting on a swing, hanging from a curtain off a canopy. Looking down from above, her att.i.tude was arrogant as she cast Su Luo a glance. Her cold gaze carried a touch of disdain. Inside such a huge hall. The roof and the surroundings were embedded with numerous glowing black pearls, illuminating the deepest part of the hall as if it was daytime. A countless number of gorgeous seven-colored curtains hanging from the canopy danced carelessly in the air, wondrously spry and lively. The Jade Lake’s fairy sat at a high place and arrogantly looked down at Su Luo. Su Luo stood below with both hands crossed over her chest. Her eyebrows raised in a smile yet not a smile and she cast a sidelong glance at the Jade Lake’s fairy. The Jade Lake’s fairy who always pretended to be gentle and kind-hearted in front of others, now used a despising gaze to look at Su Luo with disdain. She did not even try to cover up her loathing. Li Aoqiong dropped all the way from ninth to fourth rank, and had become the laughingstock of the entire continent. “Humph, don’t worry, my spirit pet will also not be polite to you.” Su Luo smiled indifferently. She calmly looked at her in the midst of chaos. Unfortunately, at this moment, the little divine dragon was completely unable to sense his little owner’s danger. He was soundly snoring inside Su Luo’s s.p.a.ce, his sleep especially sweet. Haven’t even written to the part where Luoluo dies, a pity..Isn’t it that everyday someone would urge me to finish this? If Luoluo died then isn’t everything finished~~Hahaha! You're reading novel The Demonic King Chases His Wife: The Rebellious Good-for-Nothing Miss Chapter 737 online at LightNovelFree.com. You can use the follow function to bookmark your favorite novel ( Only for registered users ). If you find any errors ( broken links, can't load photos, etc.. ), Please let us know so we can fix it as soon as possible. And when you start a conversation or debate about a certain topic with other people, please do not offend them just because you don't like their opinions. You're reading The Demonic King Chases His Wife: The Rebellious Good-for-Nothing Miss Chapter 737. This novel has been translated by Updating. 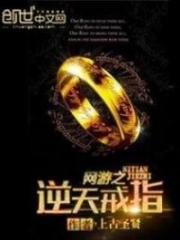 Author: Su Xiao Nuan,苏小暖 already has 11342 views. Current Time is Apr-21-2019 06:38:02 AM.